Suite Home Corporate Housing, a leading provider of luxury, short-term luxury rentals, is pleased to announce their continued commitment to an exclusive partnership at 8 East Huron apartments in Chicago’s beautiful Gold Coast & River North neighborhoods. CHICAGO, OCTOBER 1, 2018 — Suite Home Corporate Housing, a leading provider of luxury, short-term luxury rentals, is pleased to announce their continued commitment to an exclusive partnership at 8 East Huron apartments in Chicago’s beautiful Gold Coast & River North neighborhoods. 8 East Huron, a 22-story high-rise located just east of the “Magnificent Mile” on Michigan Avenue, and just a block from the exclusive Gold Coast neighborhood, offers 5-star hotel service in a boutique apartment building. There is an on-site concierge, penthouses, rooftop pool with 24-hour gym, and sundeck. Thoughtful amenities and a private art collection round out this gorgeous building, making it perfect for residents looking for an upscale, short-term corporate living solution. Suite Home President & Owner Jennifer Breen is thrilled to continue the relationship with CA Ventures at 8 East Huron. If you are interested living at or learning more about furnished apartments at 8 East Huron, please visit Suite Home’s website. Established in 2005, Suite Home Corporate Housing offers luxury furnished, corporate apartments with flexible leasing terms throughout the Chicagoland area and Wisconsin. The units are fully equipped with modern furnishings, luxury linens, and all the housewares needed for a temporary stay. The Suite Home staff strives to provide guests a “home away from home” experience, and are equipped to handle large corporate groups, project work, relocation, medical travel, entertainment crews, interns, and government travel. Suite Home is a member of Corporate Housing Providers Association (CHPA), a professional trade association exclusively dedicated to supporting corporate housing providers. Suite Home owner Jennifer Breen is a certified Corporate Housing Professional (CCHP) and a committee member of Corporate Relocation Council (CRC). 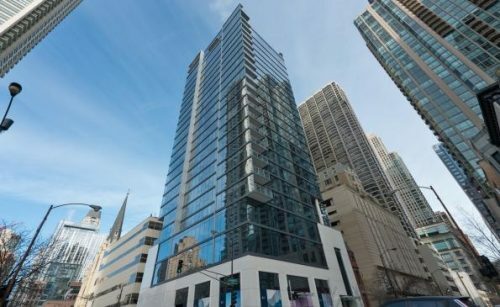 To learn more about Suite Home Corporate Housing, please contact the company headquarters at (312) 638-0891 or go to their website https://www.suitehomechicago.com.